When U.S. sugar farmers needed help this summer defending a $1 billion, 10-year subsidy plan in a new House farm bill, they found it in some surprising places. Among the 282 lawmakers siding with Midwest and Gulf Coast growers on a key vote was Rep. Carolyn B. Maloney (D-N.Y.), who represents Queens and Manhattan‘s East Side. The only sugar refinery in the New York area is well outside her district. The House sugar vote illustrates the hold that agricultural interests maintain on farm policy even as the number of full-time commercial farmers has shrunk to a few hundred thousand. Sugar groups have used campaign cash and far-reaching alliances with labor unions and politicians to expand their influence far beyond the 15 states and few dozen congressional districts where sugar is grown by fewer than 6,000 farmers. Along with Maloney, a raft of other Eastern lawmakers voted against eliminating the sugar provisions. All eight House members from Maryland, home to a Domino Sugar plant in Baltimore owned by the huge sugar concern Florida Crystals, voted sugar’s cause. Four of them, and both Maryland senators, have received political contributions from Domino PAC. Other recent Democratic recipients in the House include West Virginia‘s Alan B. Mollohan, Pennsylvania‘s Chris Carney and Maine‘s Michael H. Michaud. So far this year, nine sugar farm or refinery groups have made more than 900 separate contributions totaling nearly $1.5 million to candidates, parties and political funds, according to federal election records and CQ MoneyLine. American Crystal Sugar Co., a Minnesota-based sugar-beet cooperative with 3,000 members, has made 317 contributions totaling $819,000. In July alone, its political fund contributed more than $70,000 to 26 House members, 24 of whom sided with it on the July 27 sugar vote. “When you take on Big Sugar, you take on a huge political money operation,” said Rep. Mark Steven Kirk (R-Ill.), a co-sponsor of the amendment that drew the sugar industry’s ire. The amendment, which was blocked 282 to 144, would have struck farm bill provisions that would raise support prices by half a cent per pound and guarantee U.S. sugar producers at least an 85 percent share of the domestic market for the next five years. The expected effect of the House pro-sugar provisions and similar legislation in the Senate would be to keep the domestic price of sugar well above world levels. The Government Accountability Office has estimated that the sugar program costs consumers and food processors between $1 billion and $2 billion annually in higher prices for sugar and a vast array of products that contain it. Meanwhile, the new sugar subsidy would cost taxpayers tens of millions of dollars a year, according to economists and U.S. officials. The provisions are aimed at protecting U.S. sugar growers from a likely surge of Mexican sugar imports next year, when restrictions end under the terms of the North American Free Trade Agreement. To keep such imports from depressing domestic prices, the Agriculture Department would be required to buy equivalent amounts of U.S. sugar and resell it to ethanol refiners at a deep discount. The Congressional Budget Office has estimated the cost at $1 billion through 2017. Similar provisions with even higher price supports go to the Senate floor next week as part of that chamber’s version of the farm bill. The Bush administration strongly opposes the provisions and has proposed a plan that would keep sugar prices high by cutting back on planted acreage, costing taxpayers little. 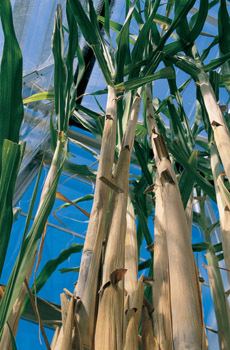 Sugar lobbyists say the sugar-for-ethanol provisions could be the catalyst for a new industry. But recent Agriculture Department studies have questioned whether high-priced U.S. sugar can be an economical source of biofuels, particularly at current depressed ethanol prices. The legislation is opposed by a coalition of consumer groups, poor countries that want more access to the U.S. sugar market, food processors and candymakers. “It’s just another insanity in the farm bill,” said Carol Tucker Foreman of the Food Policy Institute at the Consumer Federation of America. But opponents have repeatedly lost to sugar forces in congressional votes over the past 20 years. Sugar lobbyists argue that they have been successful because their policy is the right one, and they say that the power of their political contributions is overstated. “We get requests, and we try to respond to those requests,” said Kevin S. Price, director of government affairs for American Crystal. Included in American Crystal’s contributions was $3,000 for Maloney, who is better known as an advocate for women’s rights and a new Second Avenue subway line in New York, in connection with her breakfast event. In a statement explaining her sugar vote, Maloney’s office said a Domino refinery that processes Florida sugar in Yonkers, outside her district, provides “good union jobs” for 142 hourly workers whom she is “proud to support.” The International Longshoremen’s Association, which had been representing the workforce, contributed $5,000 to Maloney in June. But union spokesman Jim McNamara said the Yonkers workers recently voted to end their affiliation with the longshoremen. They were voting this week on joining another union. A majority interest in the plant is held by Florida Crystals Corp., owned by Alfonso and J. “Pepe” Fanjul, Cuban exiles who built a huge enterprise of sugar plantations and refineries after fleeing Fidel Castro‘s government. The company’s executive vice president, Donald W. Carson, gave $2,000 in connection with the Maloney breakfast, and the Florida Sugar Cane League chipped in $1,000, according to Tulloch, the congresswoman’s election attorney. The league represents Florida Crystals and the U.S. Sugar Corp., another giant conglomerate. Maloney was not available for comment because of a “jam-packed schedule,” said spokeswoman Meghan O’Shaughnessy. Rep. Steven R. Rothman (D), whose densely populated northeast New Jersey district is across the Hudson River from Manhattan, picked up $3,000 from American Crystal’s fund the same day as the Maloney event. Earlier he got $1,000 from a North Dakota-based sugar-beet group. The sugar lobby has also tapped into anti-trade sentiment elsewhere. Maine’s Michaud, who along with sugar interests opposed the Central American Free Trade Agreement, picked up $7,000 from seven sugar groups in May. Democratic control of Congress has put sugar interests in a strong position during this year’s debate on the farm bill. Political contributions from the web of groups representing sugar have tilted heavily toward that party, and 177 Democrats voted “no” to eliminating the provisions in July. House Agriculture Committee Chairman Collin C. Peterson‘s Red River Valley district in Minnesota is the nation’s top sugar-beet producer, and the Democratic chairmen of the Senate Finance and Budget committees come, respectively, from Montana and North Dakota, both sugar-beet-growing states. Another Democrat, Rep. Charlie Melancon (La. ), is a former president of the American Sugar Cane League. All $259,000 that the union gave for the 2006 elections went to Democrats. Thibodeau said he is confident that defeat of the sugar provisions “is not going to happen.” In the Senate, he noted, Agriculture Committee Chairman Tom Harkin (D-Iowa) has been a reliable supporter, even though Iowa grows few sugar beets. Morgan is a contract writer for The Washington Post and a fellow with the German Marshall Fund, a nonpartisan public policy institution. Tagged agriculture, consumption, development, trade. Bookmark the permalink.